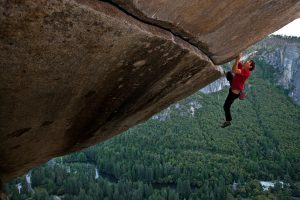 I went to watch the Oscar winning documentary “Free Solo” this week since I had to see what the fuss was all about regarding a man climbing a rock and I have to say I was pleasantly surprised. 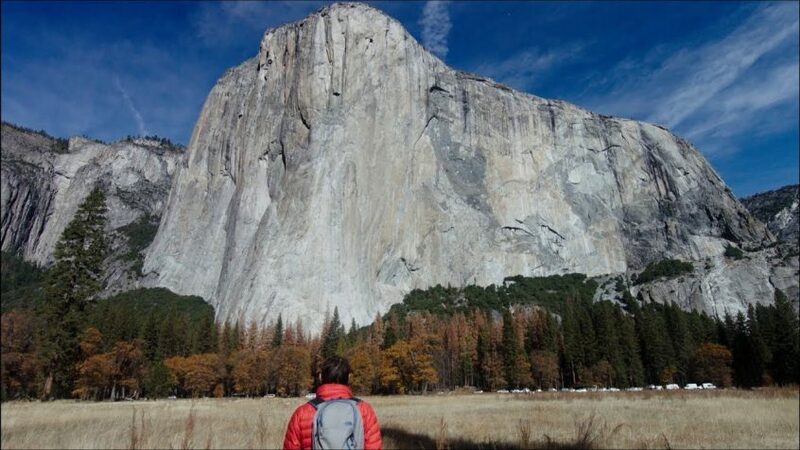 I’m never quite sure of documentaries since they don’t necessarily have a narrative structure that they adhere to but on this particular occasion this documentary did seem to have one: the journey of a crazy American dude (Alex Honnold) who’s made it his mission to climb a 3000ft vertical rock called “El Capitan” at the Yosemite National Park. Alex Honnold, who came across to me like a version of a Spiderman, albeit without the costume or the web slings but with a pouch full of chalk powder, worked several years to finesse his free solo climbing skills so that he could ascend the vertical rock, without any protective equipment, for the first time in record breaking speed. Its not every day you come across such a documentary that grabs you from the get go. The previous one I recall was “Man on Wire” a documentary about Philip Pettit, another crazy dude but a Frenchman, who walked a tight rope between the two twin towers back in the 70’s. Both of these films won the Bafta and the Oscar for best Documentary feature. What intrigued me the most about the documentary wasn’t necessarily the breathtaking views, the amazing scenery or the daring feats that Alex achieves. What grabbed me was that the director, the producer and their crew were willing to take a chance on Alex, not knowing whether he’d be able to make the free solo climb and if he weren’t to pull it off, and fall to his death, then all the time and energy spent on making the documentary would’ve been for nothing and would probably never have been released to the public. This is a gamble that requires a lot of consideration from investors to agreeing to dish out the money. Even though it was financed by National Geographic there is still money to be put on the table as well as all the research, time and effort that it takes, which more than likely was a good couple of years in the making. That it could’ve taken a turn for the worse, should Alex have died and the whole project would’ve gone down the drain together with his fall, is a big risk in itself. There were some scenes in the film were you could tell the director and his crew had some reservations about Alex’s climb. Some of his peers got chocked up about it as well since they’ve lost climbers in the past who dared to take risks on other ventures. At one point in the documentary Alex decided against the idea of climbing on the day that he was meant to free solo the vertical rock. Not giving a specific reason there was the hint that he had issues with the cameramen being in his way which could’ve been detrimental to his climb. This had a repercussion on Alex’s climb which he then had to postpone to a later date. The camera team then had to reconfigure a way of not being in his way, for the next climb, and execute the filming by using extra long lenses on their cameras in order to capture the climbing footage from quite a distance. It’s taking a punt in life, the uncertainty of not knowing what to expect, no contingencies in place that got me thinking about the film industry. When we relentlessly pursue a project in order to get it made, not knowing whether it will be a success or a failure is a risk in itself. The risk of losing money for the investors, the risk of wasting people’s time and effort, the risk of jeopardising your career for further future projects. But, there’s also the excitement of achievement mixed with the risk of failure – they swirl around like coalescing liquids in a glass – bitter and sweet. Alex’s girlfriend asked him something along the lines of would he be willing to give up the climb in order to strengthen their relationship and eventually settle down. Alex, being true to his ideals, said something along the lines which to me was interpreted as not being able to bring himself to give up the dream. Afterwards, in his van, on the way to practice his climb, he went on to say that ‘cosy and happy’ was not the place where he wanted to be (referring to how his girlfriend put it). A warrior’s mindset is what he was aiming for in life. The ability to face his fear and embrace it, that’s the sort of near perfection he’s looking for in life – To achieve the incredible. Don’t accept mediocrity in order to make your life easier, work on making it more unpredictable, and incredible. Bracing the fear, taking risks and doing what you love is the message that I got out of this documentary. If you haven’t seen it yet then it’s worth the watch. Catch it on the big screen if you can and on Imax if you dare.